Poncet is an abstract sculptor in the tradition of Jean Arp and Constantin Brancusi. 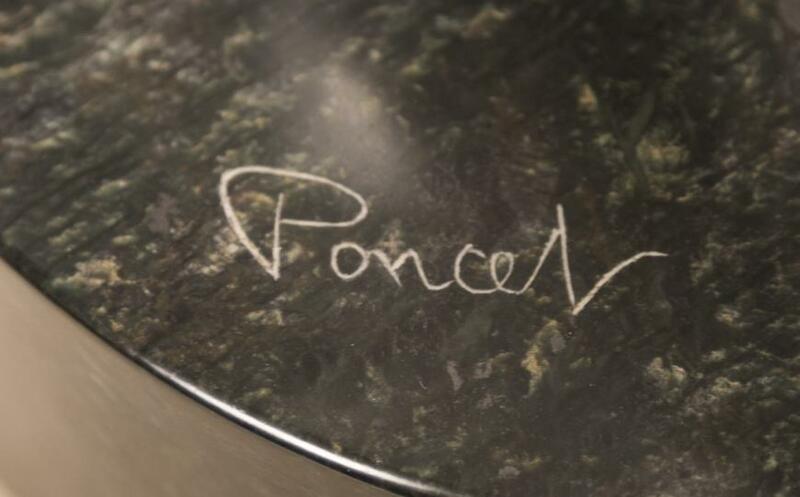 Many of Poncet’s forms are derived from nature and are pared down to display the beauty or voluptuousness of a form or the essence of a movement. 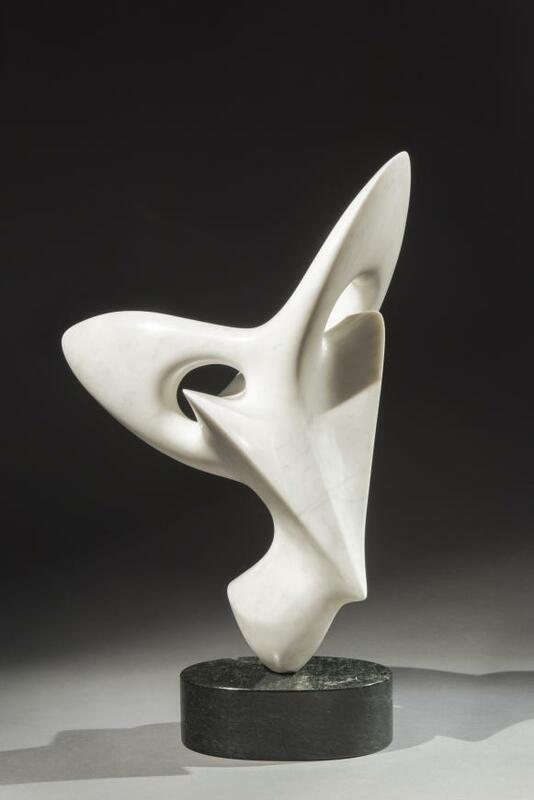 His sculpture shows distinct similarities to the work of Jean Arp, with whom Poncet worked closely from 1953-1955. Echosillogiques dances weightlessly upon its signature black marble base. 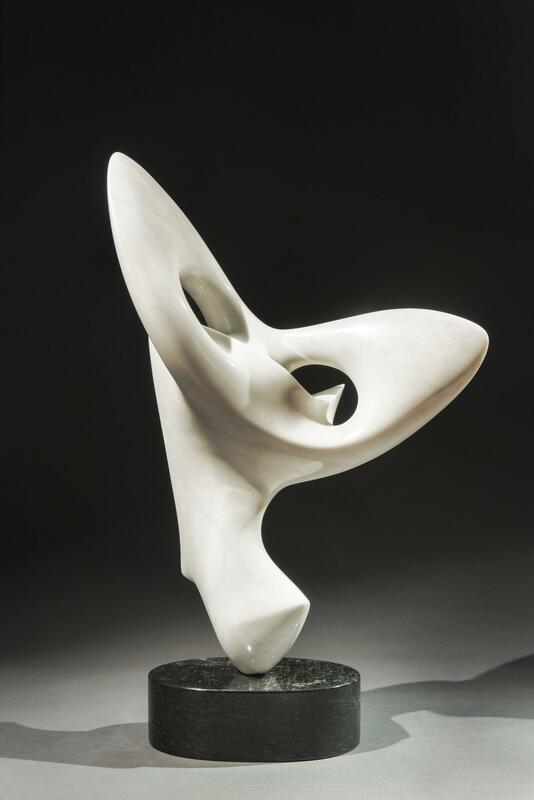 A unique piece in white marble, it presents as a stunning and austere study in fluid form. Its abstract shape suggests an organic inspiration, while its pared-down simplicity allows it to read as robust and voluptuous—almost as if it were a dancer or odalisque. As is typical of Poncet’s sculpture, Echosillogiques is skillfully crafted and balanced, featuring hollow negative spaces that contribute to its dynamism and allow it to integrate into its surroundings. It also bears references to works by Jean Arp, with whom Poncet worked closely from 1953-1955. Echosillogiques is recorded in the archives of Antoine Poncet; its model was created in 1976 and the marble was realized shortly thereafter. Its title remains a mystery, but may be a manufactured composite of the French words écho (echo) and illogique (illogical), which taken together as a compound phrase translates roughly to Illogical Echoes, further cementing its ethereal presence.